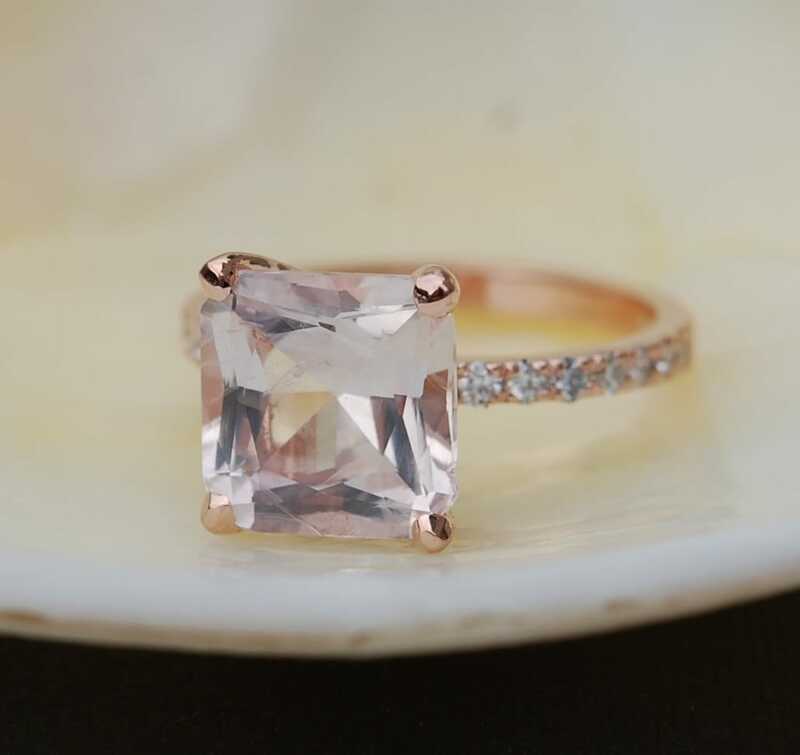 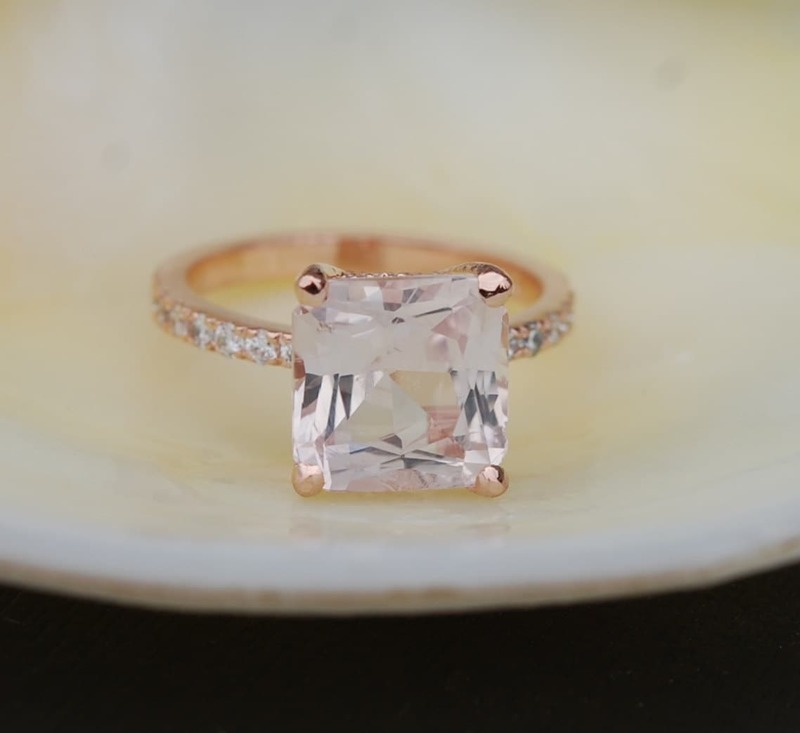 Very beautiful ring features a natural non-treated sapphire in gorgeous Ice Peach Champagne color. 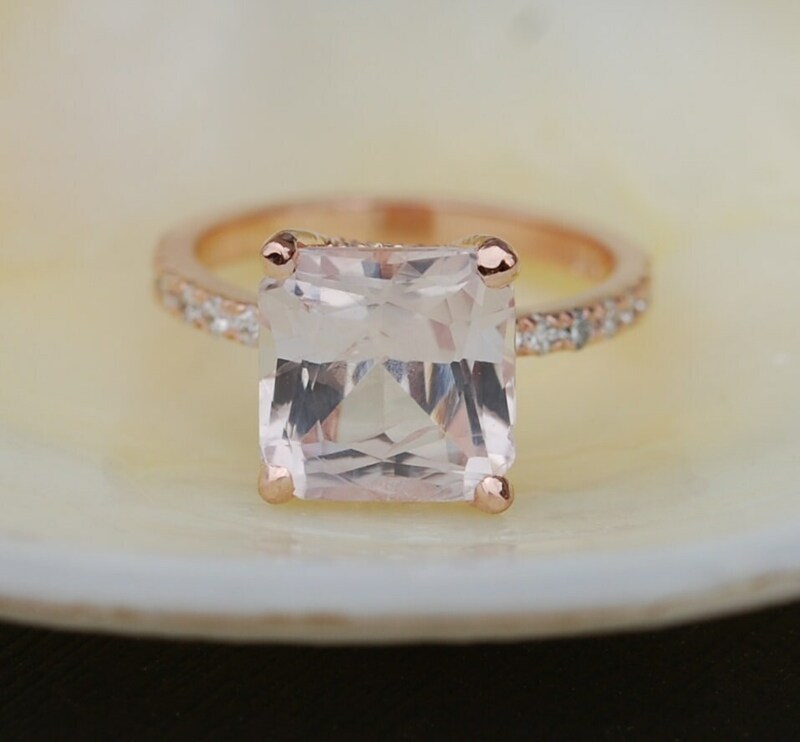 This stone is 5.08ct, radiant cut, unheated. 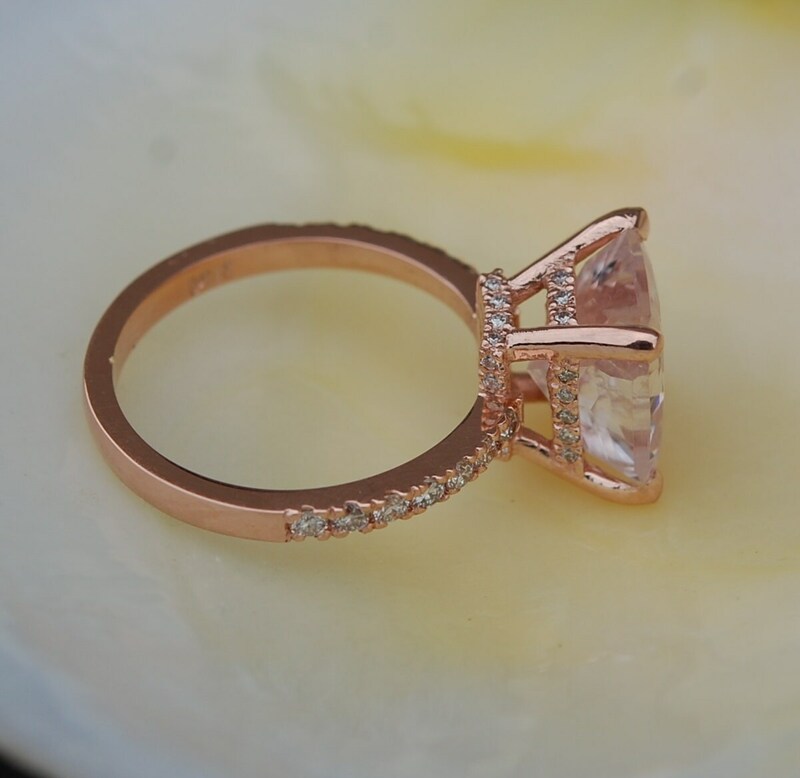 The stonehas minor inclusions but overall it is very beautiful and clean.